Acupuncture, the practice of placing hair-thin needles into certain areas of the skin, is being used to reduce back pain, headache and many other types of pain. A skilled practitioner or acupuncture inserts hair- thin sterile, disposable needles into the skin, just deep enough to keep them from falling out, then gently guides them into place. The number of slender needles- as few as three, as many as 20- depends on the ailment being treated. Once inserted, the needles are kept in place anywhere from two to 20 minutes. During the treatment, acupuncture needles may be twirled, warmed, cooled or electrically energized to intensify the effect of the treatment. Acupuncture stimulates the body’s ability to heal by correcting imbalances and prompts the body to produce chemicals that decrease or even eliminate pain. There are several theories of how acupuncture actually works. One is that the stimulated muscle and sensory neurons send a message to the brain causing natural pain killers to help block the message of pain from being delivered to the brain. 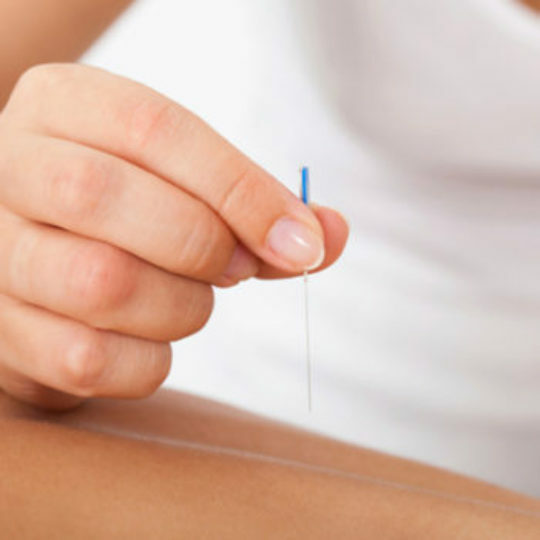 Other experts say acupuncture transmits signals via the fascia, a connective tissue that surrounds all the body’s muscles and organs. Though recent research has uncovered some of the mechanisms of acupuncture’s effectiveness, the global mind-body interactions of acupuncture therapy are still under investigation. Acupuncture is not a ‘cure-all’ treatment for every condition, but that it is especially useful in functional disorders and musculoskeletal procedures used for the same conditions. Acupuncture works nicely as an adjunct to traditional treatment plans. For example, many patients undergoing chemotherapy also use acupuncture as a way to lessen the side effects associated with chemotherapy. Acupuncture has been used as a complementary therapy in the treatment of allergies, asthma and sinusitis, and is used in conjunction with physical therapy for rehabilitation from serious injury. In Ohio, acupuncture practitioners must be licensed, possess a master’s degree and be able to demonstrate proficiency in both a classroom setting and in a clinical environment. Plus, all licensed acupuncturists must pass board exams in Eastern and Western medicine. One session does not usually result in total relief of pain and will vary with each person’s condition and response. Patients are encouraged to try acupuncture for at least five to 10 treatments before giving up. Physical therapy and other modalities may also be recommended as a supplement to acupuncture.